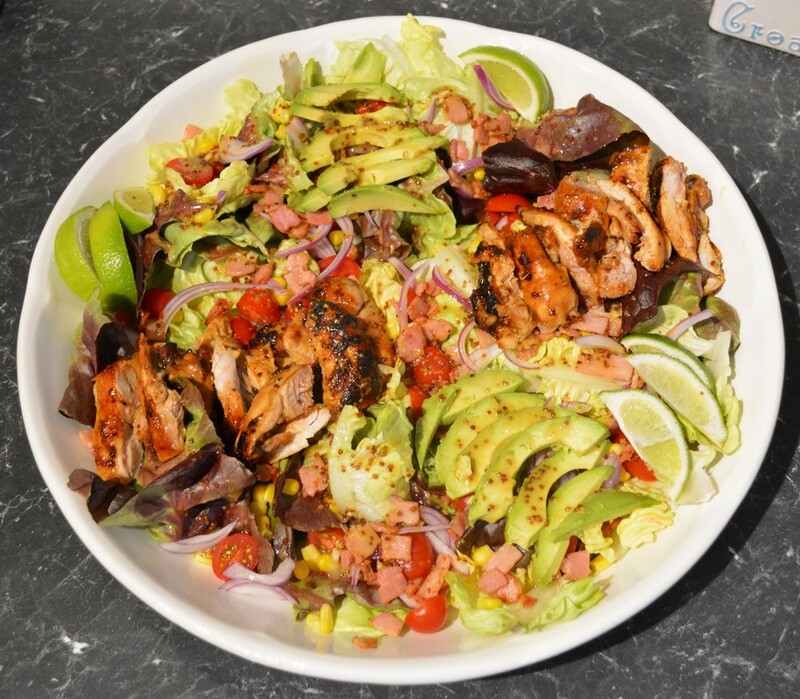 Delicious, no better word describes this salad. I absolutely loved the flavour combination. I loved how it tasted, I loved how it looked, I loved how easy it is to make. This week I made two dishes for the competition, this one and Chicken and Avocado Quesadillas. I ended up using this salad for the competition, but the quesadillas could have easily been the entry. If you are looking for something new to try, give this salad a go, easy to make, very easy to eat. Whisk marinade/dressing ingredients together to combine. Place the chicken thigh fillets in a shallow dish. Pour half the marinade over the chicken, cover and refrigerate for at least 2 hours. Cover and refrigerate the untouched marinade, it will be used as the dressing. Heat a non stick frying pan over medium heat, add a teaspoon of oil, add diced bacon and fry until crispy. Once cooked, set aside until needed. Wipe the pan over with a paper towel, re heat the frying pan over a medium heat. Add a tablespoon of oil and pan fry the fillets on each side until golden, crispy and cooked through, about 5-6 minutes per side. Once cooked, set aside and allow to rest for 5 minutes. 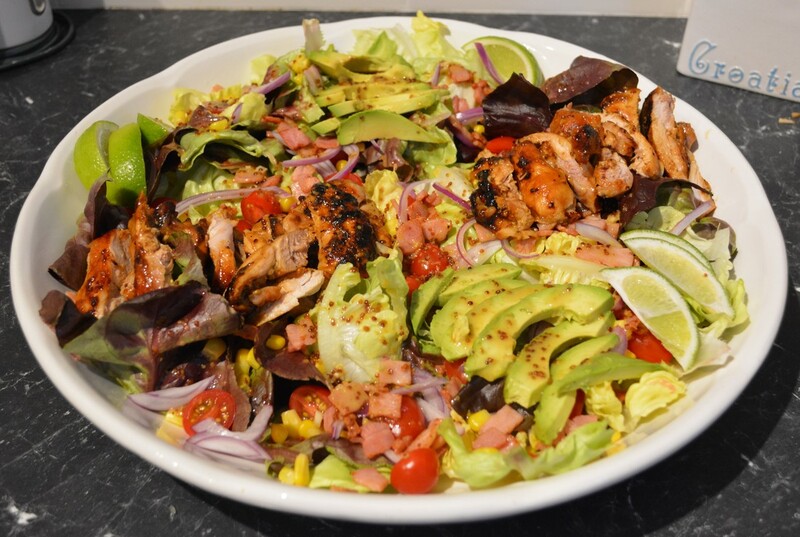 Meanwhile scatter the salad leaves in a serving dish, add tomatoes, avocado slices, corn and onion slices. ​Slice chicken into strips. Add chicken to the salad. Whisk 2 tablespoons of water into the remaining untouched dressing and drizzle over the salad. Sprinkle the bacon over the top and season with a little extra salt and pepper.